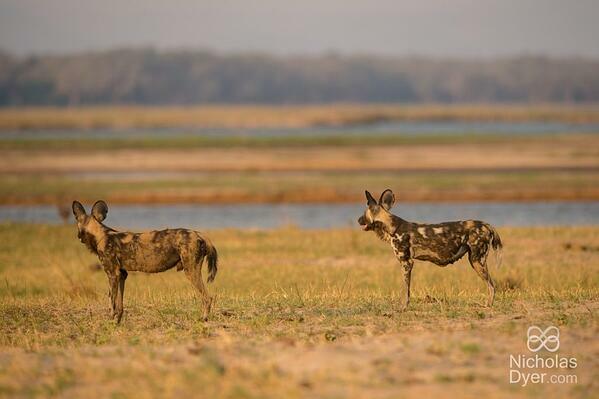 Nick Dyer started his love for the painted wolves in 2013 on a visit to Mana Pools. As an award-winning photographer, he followed and studied the painted wolves featured in the BBC series, getting to know their packs and territories. Learning about and falling for these endearing creatures led him to partner with Peter Blinston to set up the Painted Wolf Foundation, to raise awareness and support wild dog conservation across Africa. He is the author and photographer for a coffee table book ‘Painted Wolves, A Wild Dog’s Life’. The book outlines their characteristics, and the persecution they have undergone, their challenges and the solutions Painted Wolf Foundation has come up with. His passion for these painted wolves is why we partnered with him to create an adventure of a lifetime, Wild Dog Safari with Nick Dyer. "Just finished watching Dynasties and it bought back floods of memories...especially about Tait. 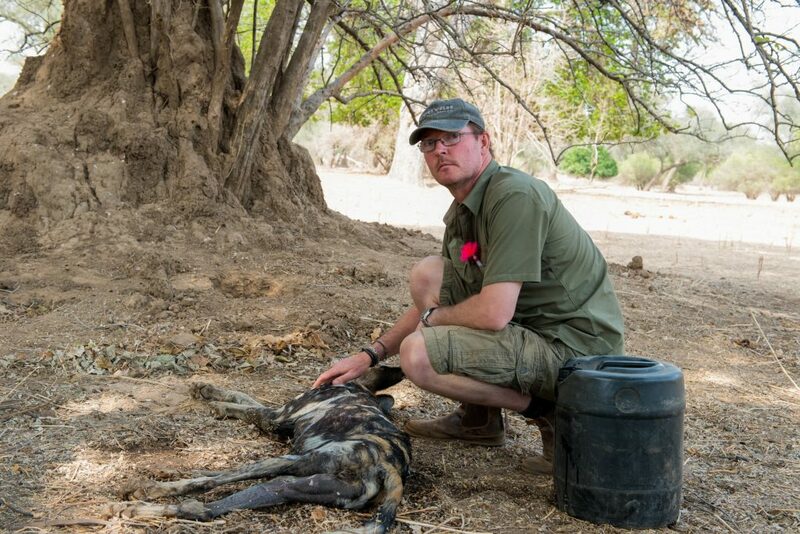 Just after the BBC had finished filming in 2015, I went into the Nyamatusi with Jealous Mpofu of Painted Dog Conservation to try and find Tait. She was very old and the rains were about to arrive. This was the last time anyone saw Tait and this is what I wrote in Peter Blinston's and my book “Painted Wolves: A Wild Dogs Life”. It was a deeply emotional experience. I find Tait and her Vundu Pack on the banks of the Zambezi River in the remote wilderness area of the park. It has been a month since I last saw her and she seems to have aged considerably. She limps painfully, her last two pups are missing and a bulge protrudes from her belly that suggests mastitis. I crawl across the open sand on my bum, taking half an hour just to get close. She is no longer used to my presence, so I am cautious. Somehow, she seems to have shrunk. And while she is clearly weaker and frailer than the other wolves in her pack, none are challenging her position. She is still in charge and clearly revered and respected. Her alpha male, Ox, walks to the edge of the river and Tait follows behind. They stop and look out across the waters together with an air of gentle reminiscence. Tait turns and looks inland across the territory she has controlled for the last eight years. She is now ten years old and I can sense she knows that this is her last. She has been an incredible alpha female. Responsible for so many pups, grandpups and great-grandpups, Tait has made a significant contribution to the survival of her species. While she is near her end, her genes will flow on like the Zambezi. I look at her Vundu Pack. It is a remnant of its former strength. The individual wolves seem strong and healthy, but as a pack they are diminished. Now puppyless, I sense the joy has been drained from their existence and they are ready for a new beginning. As the sun starts to set, I take my last ever photographs of Tait. We make eye contact like we have so many times before. Looking into her tired eyes, I remember her hunting, fighting hyena and playing boisterously with her pups. I remember cradling her head after Peter darted her to remove her failed collar and feeling her warm heartbeat under my hot hand. She turns and walks away, and her pack rises to follow her. I can no longer photograph as the tears in my eyes won’t let me focus. This is the last anyone saw of her. Some say she was taken by lion. A natural death is rare in the bush. I honestly have no idea how she died. I just know she was ready and I am glad I could be with her one last time." If you want to get up close and personal like this with the painted wolves, we have the perfect trip for you. 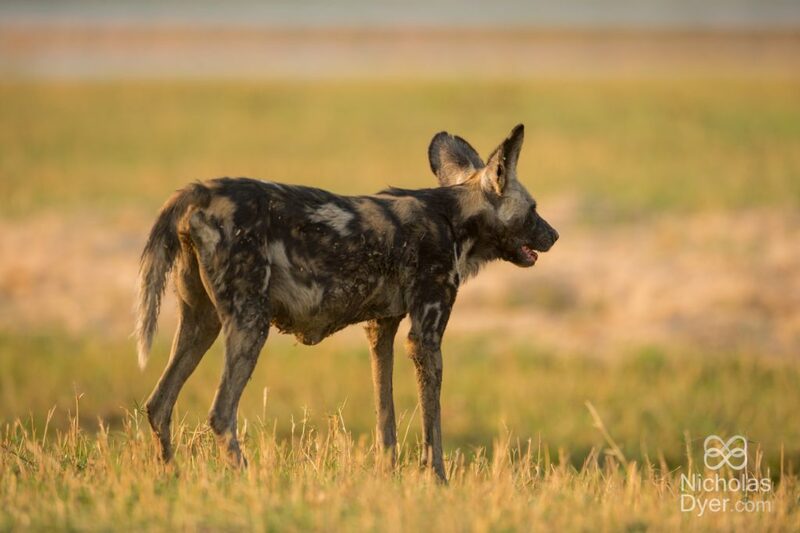 We have created a Wild Dog Safari with Nick Dyer on this special circuit that takes you through the corners of Zimbabwe; Hwange National Park, including a visit to Painted Wolf Information Center, then to Mana Pools to track the famous dogs in the Dynasties series as well as get to experience our newest Mana Pools Lodge, Nyamatusi Camp! Sign up for our newsletter below, to hear about updates on our upcoming tour with Nick Dyer. Get in touch and walk with the heroes of Mana Pools!